As the Coordinator of the Sexual Assault Response Team (SART), Brooke’s primary focus is the development and management of SART team. Comprised of dedicated professionals, the team will provide trauma-informed, specialized care to survivors and their families. Brooke understands firsthand how significant it is for a survivor of sexual assault to feel heard, supported, and most importantly, believed. Caring deeply about what she does, Brooke is devoted to raising awareness of the services available for sexual assault survivors and helping to educate those providing those services. She is determined to ensure that every survivor receives the care and support that is appropriate for their needs. Oversees the Victim Advocacy component of the Sexual Assault Center. Trains advocates and coordinates the 24/7/365 crisis intervention services. Acts as a link between the Nurse Examiner Program, local hospitals and law enforcement. Ruth has many years of experience promoting social and emotional skills and nurturing healthy relationships within families. The focus of her work in the Sexual Assault Center is her passion to minimize the real and potential negative impact that the experience of sexual trauma can have upon a person’s life. Through a strong relationship built on trust and mutual respect, Ruth utilizes trauma informed interventions to educate, support and empower individuals to fit the challenging and painful experience of sexual assault into a bigger life story. This story will express the voice of a unique, creative and powerful person. It will reflect the bravery of one who has taken the courageous journey of healing and embraced a life filled with hope, peace, and joy. Provides emotional support and advocacy to families dealing with the legal process. Attends court hearings/trials and acts as a collaborative link with law enforcement and the Prosecutor’s office on behalf of sexual assault victims. Also assists with filing Crime Victim Compensation paperwork and is a watch guard for victims’ rights. Mary Ellen strongly believes therapy is most effective when a safe and comfortable sharing environment is paired with a relationship built on trust and understanding. Through strong relationships along with therapeutic interventions, she helps her clients navigate through challenging life situations. Mary Ellen strongly believes that counseling is a journey the client and counselor must go on together, understanding each client is different and travels on their journey in a unique and individualized way. She has a passion for empowering others, along with helping to provide education and information so client have a better understanding of the feelings or challenges they are experiencing. 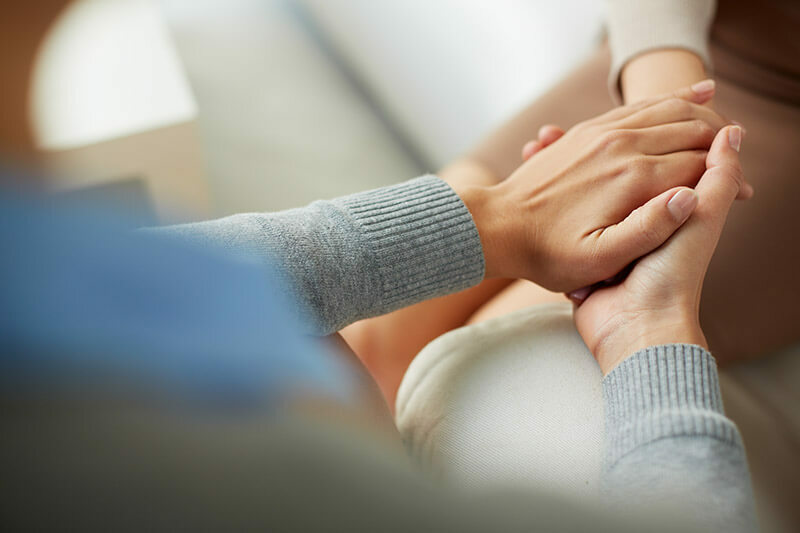 Through individual goals agreed upon together, along with trust and compassion, Mary Ellen strives to provide clients with hope and the ability to overcome. Mishelle does both group and individual therapy with survivors and their loved ones. She knows that while survivors are experts on their own experiences, it is sometimes necessary to have someone to walk the difficult path of healing with. Mishelle recognizes that no one wants to be alone and therefore values building a relationship with her clients, and the value of survivors building supportive relationships with one another. She believes that through trauma-informed care, clients may recognize their own resilience.